As experts in careers, those of us involved in human capital are well aware that most people usually change careers several times over their lifetimes. That’s a given. This applies to candidates as well as the people who recruit them because we, too, are counted among those with multiple careers. But the really cool thing is that each of those changes presents an opportunity for even greater success. That’s why I am here today to build on the theme from my article about candidate spotting. 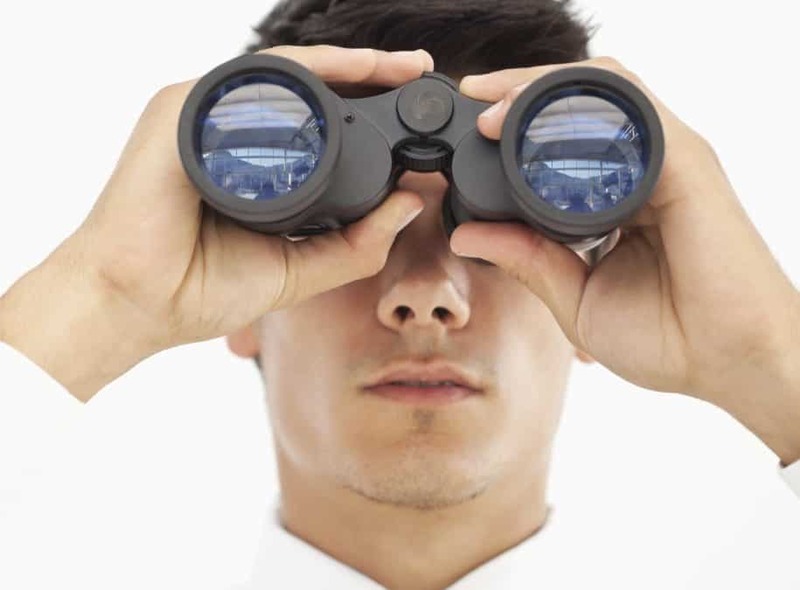 Today, we’re focusing on career spotting, or scanning the horizon for changes in your environment that will lead you to that next better thing, while at the same time scanning your history for unique experiences and insights that give you a competitive advantage. I am a “woman with a past.” I find a certain delicious humor in the phrase as it implies, well, I won’t go there. Let us just say that I have lived, and thankfully, it has been an interesting life. One reader, aware of my former career as an award-winning investigative reporter and television journalist, asked me to talk about how I came to change careers. While I could say I laid out a tidy career plan and that my move to executive search was exactly what I had planned, that would be untrue. Rather, I had invested every ounce of my being into become the best reporter a reporter could be, and I woke up one day and discovered the industry had changed. I spotted a trend (someone had moved my cheese). In response, I made an adjustment that ultimately allowed me to capitalize on the opportunity. I started my news career shortly after Watergate, inspired by reporters Bob Woodward and Carl Bernstein. At the time, there was nothing cooler than extracting information from highly placed sources in secret meetings in a darkened parking garage. But by 1997, television news had become a shadow of its former self. Investigative reporting was a costly, highly litigious pastime, prone, if not designed, to upset the powers-that-be. Moreover, television news had seen a fragmenting of its audience from the days when the triptych television networks of ABC, CBS, and NBC dominated the news. By then, with the advent of cable, the audience had been scattered like buckshot across 200 channels. In response, producers no longer decided to lead the news with the most important story of the day, but rather with the story they felt you most wanted to hear. That was so not what I had envisioned and while I could argue on behalf of journalism and the better story, it was an argument I wasn’t going to win. So I left, went back to college, and ended up at Columbia University surrounded by kids who were born around the time Reagan was elected president. I had a blast. Ultimately I had to return to work and so a friend suggested I assist her with candidate development in recruiting. I had no idea that there was research aimed at recruiting. I was delighted to learn about something I could do from the comfort of my own home. Moreover, much of the work seemed easy in comparison to what I used to do. It is far, far easier to call someone to offer them a job than to explain you are investigating them. Then I started applying my investigative expertise to identifying and ultimately recruiting executives and technologists, spinning in my computer-assisted research acumen, and my business was born. See career change as opportunity: capitalize on it. Everyone gets downsized, even recruiters. Industries contract and expand. Markets have up and down cycles. What worked yesterday doesn’t always work today. Instead of focusing on what you have lost, focus on what you stand to gain. It doesn’t happen overnight. You may have to mourn the loss of a former career, workplace, and co-workers, if not the loss of a former identity. For the longest time, it felt weird to tell people I worked in executive search. Now it feels weird to say I was a TV journalist, though that investigative background gives our practice a competitive advantage. Read the tea leaves: read the newspapers. To career spot, you must be aware of the business world’s ever-shifting sands. Industries expand and contract, markets have up cycles and down, and what worked yesterday doesn’t always work today. You must be ever-vigilant and anticipate where things are headed. When you see a critical mass coalesce, or spot a pattern that resonates, it’s time to take action. For our business, it may mean realizing when we’re entering an economic downturn and refocusing or repositioning business in much the same way investors rebalance their portfolios. Realize that you are your own competitive advantage. Everyone is an individual. Everyone has their own special set of strengths and weaknesses. The trick is to capitalize on your strengths by aligning them with the trends you’ve observed in Step 2. I’m not saying this as a general platitude, as a generic warm-fuzzy, or as a Hallmark card bon mot. Rather, I’m suggesting you go beyond resume text and consider themes that have emerged over the course of your career. Examine your successes as well as the flip-side of your failures for the hidden strengths you may have embedded in them. During my journalism career, I was extraordinarily idealistic about the Fourth Estate and frequently jousted with my superiors, advocating for a great story and for the greater good. Was I a total pain in the derri?re? Definitely. Would I do it differently if I had it to do over again? Definitely. But the passion, determination, idealism, and depth of concern I had about advocating for doing the right thing were simply building blocks that were in their formative stages. Years later, it all came together when I rebranded our search firm and human capital intelligence practice “The Good Search,” the first search practice committed to serving employers-of-choice. Blink. Trust your instinct: use it to guide your innovation. Trust your gut. The older I get, the more I realize that if something feels wrong, it probably is. Moreover, we may be hard-wired for intuition, for profound knowledge and intelligence on a subconscious level. You still need to be educated, and to advance your training through conventional means. Often the thing that makes the difference between success and failure or between success and blow-the-roof-off super-stardom is trusting your inner wisdom. Spark a revolution: become more evolved. If you haven’t failed lately, then you may have gotten too content operating in your safe zone. If you find yourself blaming others, circumstance, or other outside factors, you’re wasting energy and valuable time. Instead, capture the lesson contained in every challenge you encounter. Not to go all New Age on you, but increasingly business people are turning to meditation as a way to become more present and aware as they engage in business. Being fully present and devoid of distraction makes you more successful. You don’t have to do yoga to get there. Other forms of exercise can put you into a meditative state, and biofeedback devices can as well. Honor one’s past and use every lesson contained therein as recruiters. The lessons might come from childhood as an extension on the thesis, All I Really Need to Know I Learned in Kindergarten. (Share everything. Play fair. Don’t hit people.) The lessons can come from relationships with significant others or from raising children. They can come from failure and loss as much as they come from success and acquisition. The secret to career spotting is developing symphonic awareness by noticing emerging and repeating patterns, the themes and counter-themes, the harmony as well as the dissonance. In the end, it empowers each of us to serve as conductor of one’s vocation and avocation.